Royal DSM, the global Life Sciences and Materials Sciences company, will present at K2013 (16-23 October in Dusseldorf, Germany) sustainable and innovative solutions that address key global challenges like climate change.With a portfolio of high performance plastics for applications in automotive, electrical and electronics, flexible food packaging, and consumer goods, the company is committed to do everything it can to contribute to a more sustainable world. 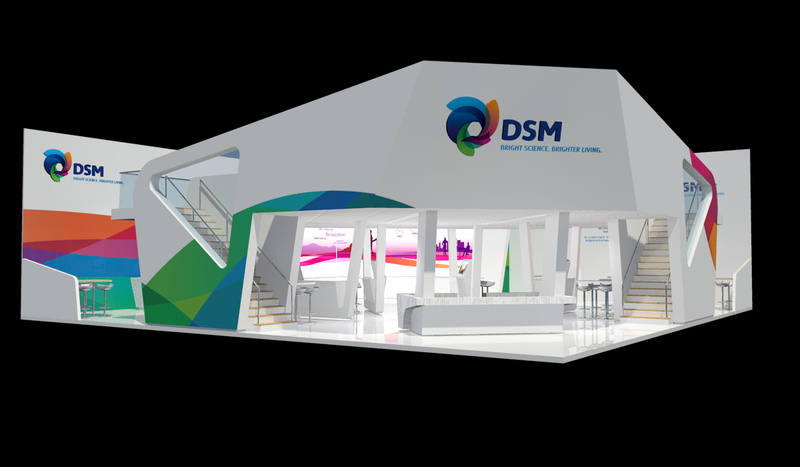 DSM will be on Stand 11 in Hall 6B. Several innovative applications in automotive illustrate how the company addresses the key trends of increasing demand, and emission reduction, driving weight reduction and increased fuel efficiency. Oil sumps in Akulon® Ultraflow polyamide 6, for example, developed with Steep Plastique for Peugeot and with BPP for Daimler, are 60% lighter than the metal versions they replace and yet are still highly impact resistant. New applications for EcoPaXX® polyamide 410 include the engine cover of the brand-new Mercedes-Benz A-Class as well as the crankshaft cover for a new generation of fuel-efficient engines from Volkswagen. New DSM materials aimed specifically at auto applications include the first hydrolysis-resistant Arnite® A (PET) for dimension-critical parts, and a portfolio of high performance advanced thermoplastic composites for structural components. In electrical & electronics, miniaturization, lightweighting and speed of innovation are key. DSM is supporting customers to make thinner designs and integrate functions using materials that have excellent processing properties and are halogen-free and therefore contribute to reducing the environmental impact of e-waste. Lotes, a leading producer of memory connectors, is for example using Stanyl® For Tii™ for housings for the new DDR4 generation of connectors suitable for wave and infrared reflow soldering. Stanyl ForTii T11, a new halogen free grade for terminal blocks, delivers UL94-V0 flame retardancy combined with outstanding thermal and mechanical performance, and results in components with significantly lower carbon footprints than versions made in rival materials. Stanyl ForTii also made a major breakthrough with its approval by Cicorel, a specialist in electronics systems and components, for use in three-dimensional molded interconnect devices, 3D-MIDs. With its broad portfolio of engineering plastics, which encompasses Arnitel® thermoplastic copolyester and Arnite PBT and PET, as well as one of the widest portfolios of polyamides in the world (including Stanyl PA46, Stanyl ForTii PA 4T, EcoPaXX PA 410, Akulon PA6 and PA66, and Novamid® PA6, PA66 and PA6/66), DSM is in a strong position to drive innovation across markets demanding high performance sustainable materials. DSM also has strength in depth in research, development and technical support, and an impressive track record in collaborating with processors and end-users to maximize the potential of their ideas.More information can be found at www.dsm.com.